…wildlife, landscape and historic sites, the billions of stars in our vast skies offer another compelling reason to love the Breamish Valley. The Milky Way arches majestically across the sky on clear Autumn evenings and star clusters sparkle like diamonds on black velvet. It’s a breathtaking scene that adds so much to the unspoilt character of our region…and provides the stuff of memories! The skies in Northumberland are so deep and so dark that Northumberland National Park has officially been awarded ‘Dark Sky Status’ to become Europe’s largest Dark Sky Park. 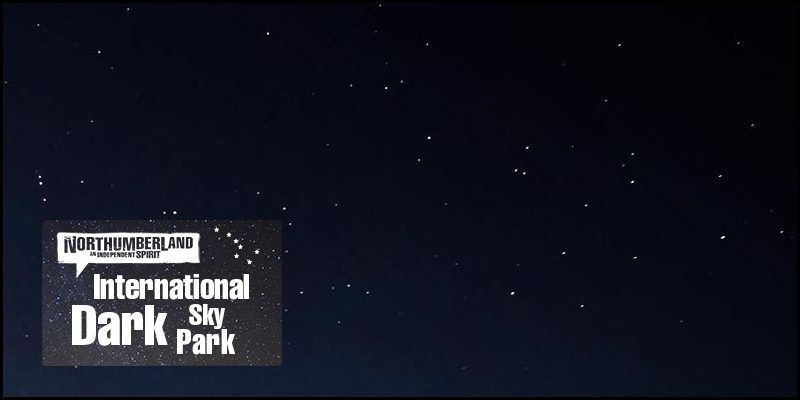 Northumberland International Dark Sky Park comprises the whole of Northumberland National Park and most of Kielder Water & Forest Park, totalling 572 square miles (14832 square km). In contrast, under our skies your eyes can feast on up to 4,000 at any time. From the Breamish Valley the furthest object you can see with your naked eye is the Andromeda Galaxy – a vast island of stars very similar to our own Milky Way. Difficult to glimpse from built up areas, we see it in all its glory looking like an elongated glow set amongst the stars. Use binoculars and you will see its arms stretch out on both sides from a bright central core. This amazing object is 2.5 million light years away! Meteor showers are also best viewed from dark locations. These ‘shooting stars’ are grains of dust from the tails of comets burning up when they enter the Earth’s atmosphere. Where can I go to enjoy the dark skies? Dark Sky Discovery Sites www.darkskydiscovery.org.uk have been chosen because of their proximity to facilities such as toilets and hostelries, that provide some additional comfort to observers. They are also used to host public events throughout the year. Please remember to be courteous to others living in the area, especially late at night when people may be asleep nearby. This, after all, is England’s most tranquil county! 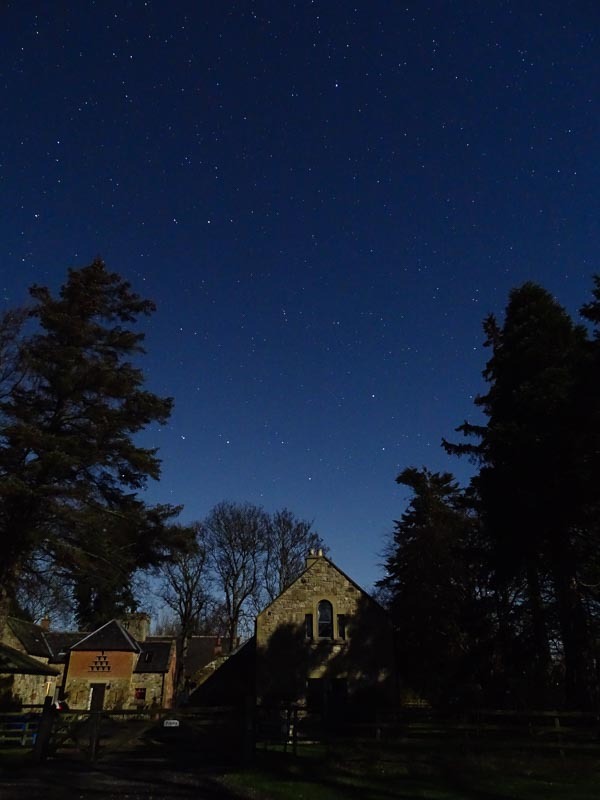 Because of the unpopulated nature of Northumberland International Dark Sky Park, if you get away from street lights anywhere along the Breamish Valley you will be amazed by the number of stars you will be able to see on a clear night. There are rural residences in dark sky areas so please respect boundaries, access ways, privacy and the peace that comes with this location while star gazing.